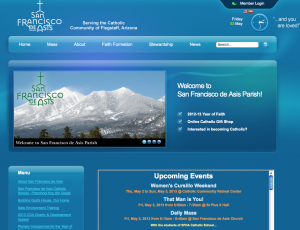 Comments At our website you can find out everything you need to know about our Parish community, programs, events, school, outreach, ministries, and more. We welcome visitors to join us for mass (offered daily!) and see our beautiful new church facility while worshiping with us!